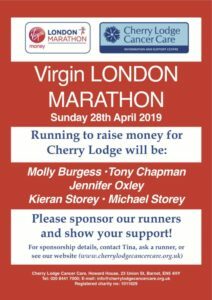 Cherry Lodge Cancer Care is an independent charity committed to improving the quality of life for people living with cancer, their carers, family and friends. At Cherry Lodge, we work alongside the clinical care of the NHS in an area centred on Barnet and covering much of North London and South Hertfordshire. We are based at the very friendly and welcoming Cherry Lodge Centre, in Union Street, Chipping Barnet. We also have an Outreach Service with an impact across the borough of Barnet, concentrating particularly on providing information and support to members of black and minority ethnic groups. Our Befriending Service provides additional support for people in their own homes. Cancer continues to be a priority for the NHS, and the last decade has seen real progress in the diagnosis and treatment of many different types of cancer. Survival rates in this country are now significantly better than before, but the number of cases is rising each year and national resources are stretched. There is an unmet need and a growing demand for the services we provide. Our services, which are provided free of charge, focus on the provision of high-quality cancer support, information and complementary therapies. These are delivered by cancer nurse specialists and by therapists with appropriate qualifications and insurance. All our staff, and the many volunteers who work alongside them, attach great importance to the practical, emotional and physical well-being of our Members (the people who use our services). Cherry Lodge Cancer Care is now completely dependent on voluntary contributions following the cutting of the NHS and local government grants that previously covered a small percentage of our running costs. Please help our work by fundraising, volunteering, donating money or goods, or by purchasing items from our shop in Church Passage, Barnet. All at Cherry Lodge welcome everyone to join in our interesting and varied programme of events. 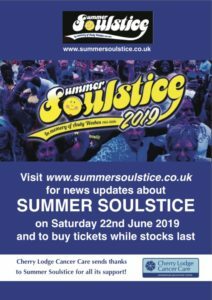 There is an Events Programme on this website, and a list of events is regularly advertised in our Monthly Programme, in our Newsletters, at the Cherry Lodge Centre and in our Barnet and Borehamwood shops.